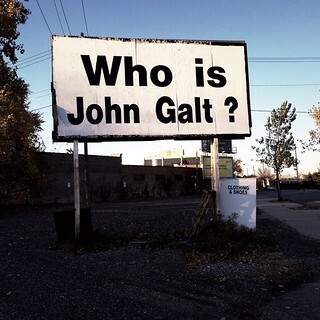 Why is there a giant billboard on Crawford Avenue that reads only these 4 words: "Who Is John Galt?" It's been there for decades. Why? ?